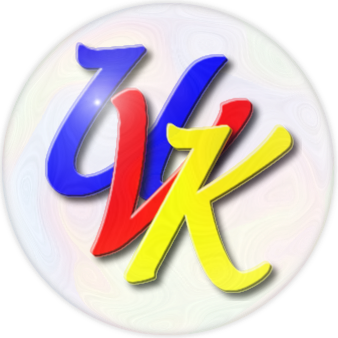 UVK is a powerful and fully featured Windows multi-tool. With user friendly interface, UVK allows users to easily remove all forms of malware and Spyware. It also includes tons of tools to repair, cleanup and optimize Windows, ensuring the best performance and reliability for your OS. Tech tool store is an IT professional application which contains more than 500 free technician tools packed in a simple, fully featured interface. It removes browser toolbars, ad-ons, plugins, unwanted search providers and hijacked home pages, and also potentially unwanted programs (PUP's). It also allows to optionally reset MS Edge, Chrome and Firefox's preferences. SimplySync Backup is an intuitive folder backup and synchronization tool. It works in both portable and installed mode, and is very fast and easy to use. SimplySync Backup has unique features such as the ability to update backups ensuring they contain the very same files as the source. It also performs backups in bi-directional synchronization mode, and obviously restore operations. PCData Back is a professional backup & restore tool for Windows, which allows you to easily backup and restore user (and other) data. This tools has the impressive restoring ability to create the exact same user accounts and restore data directly from a different volume or from Windows.old, making it a great backup/restore solution for Windows reinstall, migration to SSD or bigger HDD, or simply to keep a safe backup copy of your data. This tools allows users to easily fix account profile related issues which can not be repaired without creating a new account. Examples of situations where it may come in handy are: MS Edge is not working, Windows Store apps are not working, Windows Explorer is not showing the Start screen or the notification area, or a user can not login. Stop Resetting My Apps allows you to prevent Windows 10 from resetting your file associations. Because Windows 10 may periodically reset the default apps, Stop Resetting My Apps helps you to work around this issue by preventing some of those built-in apps from being set as the default apps. 2Browse is a technician tool that can be used as a web browser, a file explorer or an FTP client. It's very small and light, and can not be hijacked with toolbars and ad-ons. It is also available as part of UVK and Tech Tool Store. Quick User Manager is a technician tool, which contains all Windows user account management options in a simple, user friendly interface. All the features are shown in the main interface, so you can perform the desired changes with just a few clicks. Quick Any2Ico creates icon files from any type of image file or any file resource. It can also be used to add or remove image formats from icon files. GUI or command line support available. 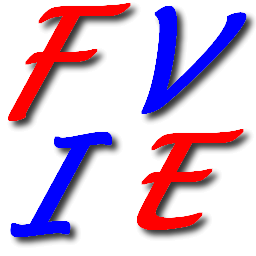 File Extension Fixer repairs executable file associations and runs applications even when those extensions are corrupted. A special tool created for developers and, of course, everyone else. Search for files and folders and export the results to a text file. Recent File Seeker is a tool created to search for files using special filters such as the creation date and the file extension. The results are compatible with UVK. A small tool to hide or show the desktop icons whenever you wish. If you have too many icons on your desktop, and you'd like to hide them and redisplay them with a double-click, this is the right tool for you. Just download and run it and you'll see magical things happen. You don't even have to place it on the desktop. It will automatically copy it self to there. Language: English, French, Spanish, Portuguese.